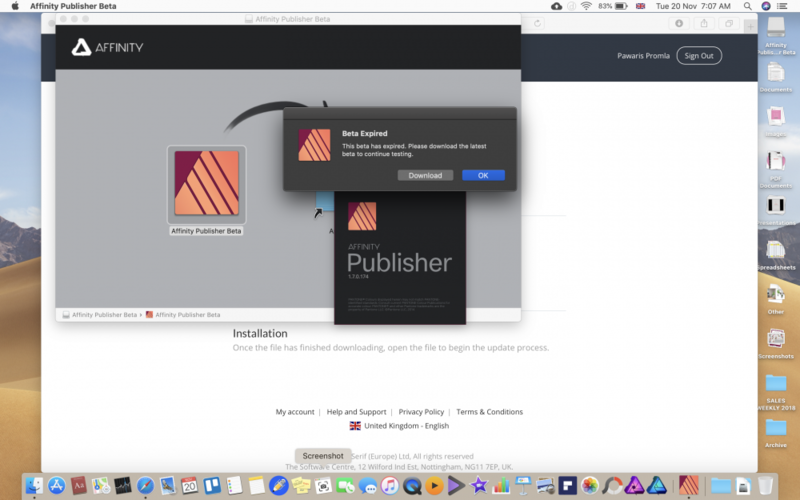 Affinity Publisher notified that there is newest version update. I follow the regular step for updating. But then after finished and will launch it shows that beta expired and there is a latest version to update and download. I tried again then it shows the same ask to download the lastset one. Build 174 is the latest version that was only released a couple of days ago so this should be far from expiring. Can you try deleting the app entirely and redownloading it form fresh and see if it lets you run?